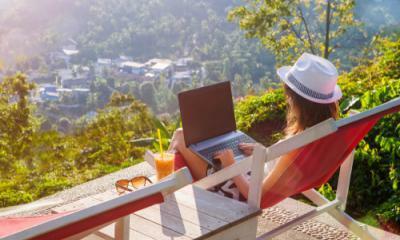 Here at Blue and Green Tomorrow, we recognize that people need to take vacations once in a while. We try to encourage them to take trips to destinations that are great for the environment. Florence is one great example. Matteo Renzi, the mayor of Florence, has expressed a commitment to sustainability. They have taken a couple major actions, such as avoiding using more concrete in the city and blocking streets that caused a high level of pollution. You should spend your vacation in idyllic landscapes and explore small villages and follow nature trails without leaving any carbon footprint. Shop for the local crafts, taste the local traditional dishes and go for a stay at a resort dedicated to sustainability. Explore the countryside on foot, on horseback or a bike, rather than polluting the countryside with a gas-powered vehicle. It is time to show respect for the ecosystem and enjoy the great city as well. 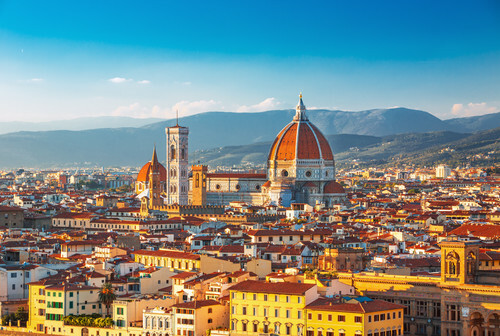 Take a private tour of Florence that offers you the opportunity to explore the iconic Florence with its fascinating monuments, ancient churches, and magnificent buildings. This is a great way to travel without hurting the environment! Hire the best guide who can show you Florence at your own pace and based on your preferences. You can design a tour stating your particular requests and make the most of your trip. Just do your bit and show that you care for nature and the plant by planning an eco-friendly trip. There is plenty to and see in Florence, and you are sure to remain spoiled for choices. The people of Florence recognize that cars are terrible for the environment and have a huge impact on global warming. Get ready for an authentic experience and make use of public transport like bus or train. Explore the city on foot or by bike, and you are sure to be rewarded with hidden corners and unexpected sights. Choose your locations carefully and how you can move around without a private vehicle. Florence is well connected by trains and buses and once can easily explore the nearby areas and cities by public transportation. Florence is world famous for its simple and tasty cuisine prepared from fresh local ingredients. Spend your holiday trying out the local bread, cured meats, and cheeses. You should also try the extra virgin olive oil. Eating those local delicacies means you support the local ecosystem and embrace ecotourism. This is an environmental benefit that can’t be ignored. Colombia University has written about the environmental benefits of local eating. Enjoy the gastronomic products of excellence and come back with a tasteful holiday experience in Florence. If you love nature, the best way to connect is by planning your itineraries on horseback. Florence is all about nature and horses, and there are plenty of horse trails and farmhouses where one can relax and get close to nature around. Those horse trails will take you through parks, countryside, and hills and are designed in a way that you get ample time to appreciate the beauty that surrounds you. Taste the smells, the colors and sounds of nature as you cross those forests and trails that take you through mountains and near the sea. The tourists and guests are strongly encouraged to reuse and recycle. They are motivated to change their shopping habits and shop for only locally grown vegetables and foods. They are asked to bring a bag to the store and keep the beaches clean. The trash and recyclables need to be discarded in appropriate colored bins. Florence is a lush country that boasts of extraordinary biodiversity. There are plenty of national parks and hiking trails across its vast expanse of land that boasts of rich flora and fauna. One can enjoy hiking mountain trails and horseback riding. There are private tours in Florence for natural heritage sites and forests and more. Italians have always been proud of their culture and nature. Today, one will come across an increasing number of cycling paths that connect tourist sites. Public transportation has expanded and become more efficient and reliable. The purpose behind Ecotourism in Florence is not to just create a beautiful experience for tourists but also get them closer to nature and educate them about the ecosystem and the need to respect the planet.